Canadian auto-parts makers who buy steel from the United States, are feeling the impact of Canada's counter levies launched July 1 with accompanying financial aid for metal producers. Canadian manufacturers who grew up in Canada-U.S. free-trade peacetime are quickly learning about tariff complexities — and pain — as the two nations exchange salvos on steel and aluminum, and U.S. president Donald Trump threatens to slap a 25-per-cent levy on vehicles and parts. Already, Canadian steel producers are laying off workers as U.S. customers scale back or cancel orders because of U.S. import charges that went into effect in June. Now, Canadian auto-parts makers who buy steel from the United States, are feeling the impact of Canada's counter levies launched July 1 with accompanying financial aid for metal producers. “Some companies have said to me that in orders of magnitude, the Canadian tariffs hurt them twice as much as the American tariffs, simply because of the types of steels (that they require),” said Flavio Volpe, president of the Automotive Parts Manufacturers’ Association of Canada. 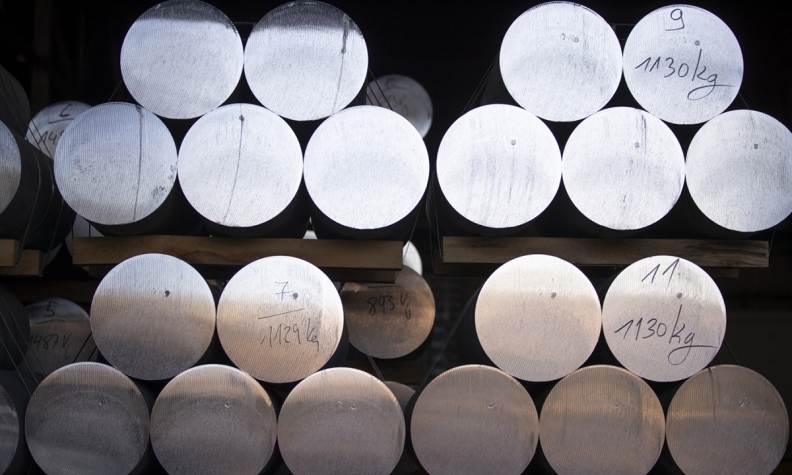 Volpe said many companies buy stainless steel and other specialty steels from American suppliers because those products aren’t available in volume from Canadian mills. Jon Azzopardi, president of tool and mould company Laval International in Windsor, Ont., said the steel tariffs are increasing production costs at his company by about six per cent. “Our main material is steel,” he said, adding that the vast majority is purchased from the United States. Volpe said he was unable to estimate the cost of the tariffs to the Canadian parts industry because many companies won't share details for competitive reasons. Still, the association has largely supported the Canadian counter-measures. The raw-metal tariff could also have unintended consequences in the United States. “It actually is an incentive for the steel-consuming industries to do their work outside and to import more intermediate or finished goods rather than the raw material they would need to produce those things in the United States,” said Kristin Dziczek, a policy analyst at the Center for Automotive Research in Ann Arbor, Mich.
That possibility would be quickly overtaken if Trump acts on a contemplated 25-per-cent tariff on finished cars and 10 per cent on parts. Whether the president is serious is impossible to gauge — some see his comments as a NAFTA negotiating tactic — but any such levy could cause disruption far beyond the effects of the steel and aluminum levies. Canadian auto production could fall by nearly 900,000 units if the United States targets Canada alone, according to a report by CIBC World Markets. That could trim Canada's GDP by one per cent and trigger a mild recession in Ontario, the bank said. But depending on how quickly the tariff is applied, the United States could also suffer. Its maximum capacity of 14 million auto units falls well below the 17 million light vehicles sold in 2017, Dziczek said. The supply shortfall would force newand used-car prices up even as the tariff on imported parts mean higher maintenance bills for those who decide to hold on to their old cars. Meantime, the U.S. industry would lose ground in a world market increasingly built around shared vehicle platforms and other cost-cutting measures. “We’ve gained tremendous efficiency in the auto industry by going to these global platforms and having a global supply chain. To undo all of that, to capitalize whole sections of supply industry in the United States and make the supply chain weirdly different here is a hugely costly endeavour, and not very efficient,” Dziczek said.